This word alone - is special to me. Why? 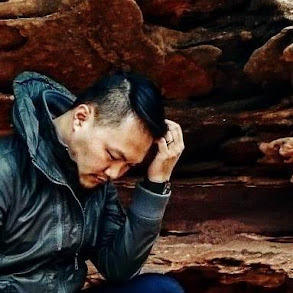 From the songs to the mood, the timing is just right, for so many reason. 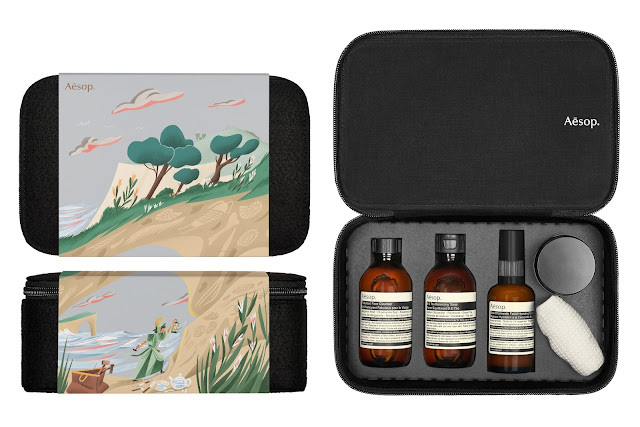 It's also a season to, celebration the year ending soon, appreciation to your family and friends, or perhaps to reward yourself with some pampering session, be it spa or the perfect skincare set for you. I am definitely have my eyes on the "Pursuits of Passion" with Aesop's latest Seasonal Gift Kits, collectively titled ‘Pursuits of Passion’, celebrate six naturalists long revered for their writing and illustrations. 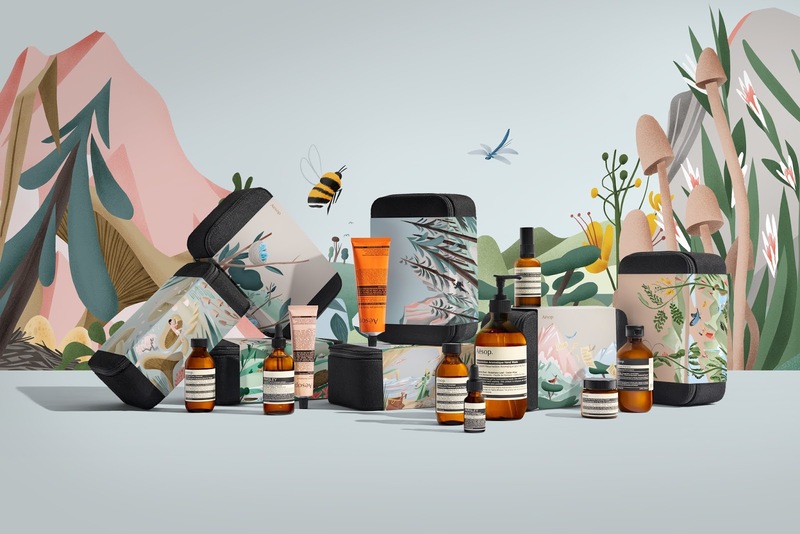 The common threads between them are passion, a touch of eccentricity, and the gift of valuable new knowledge – all of which resonate for the company, whose own passion and innovative approach have informed superb products and spaces for twenty-nine years. 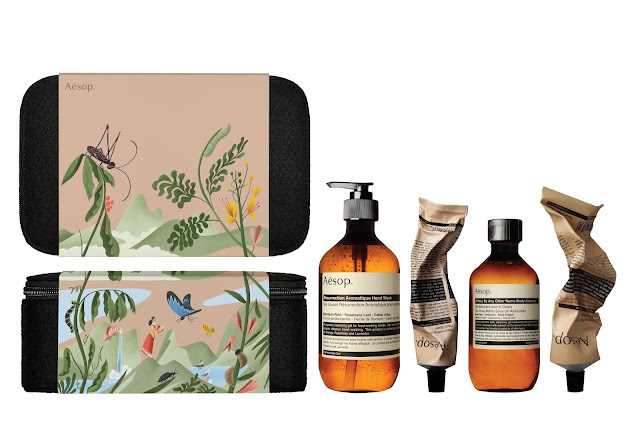 In complement to the rest of the Aesop range, these considered, handsomely presented offerings make for ideal giving to free-spirited loved ones and colleagues throughout the festive season. 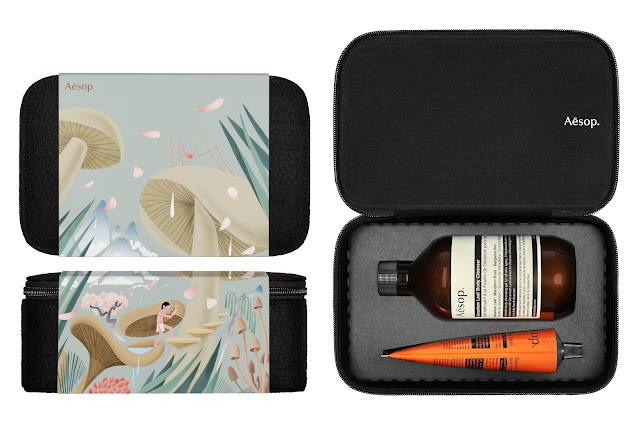 Packaged in practical, reusable amenity cases, the kits are w rapped in sleeves featuring vibrant illustrations by Norwegian artist Bendik Kaltenborn. Among the series is a trio of nourishing Hair Care formulations, a sumptuous Hand and Body Care quartet, and a regimen from Aesop’s much-loved anti-oxidant Parsley Seed Skin Care range. 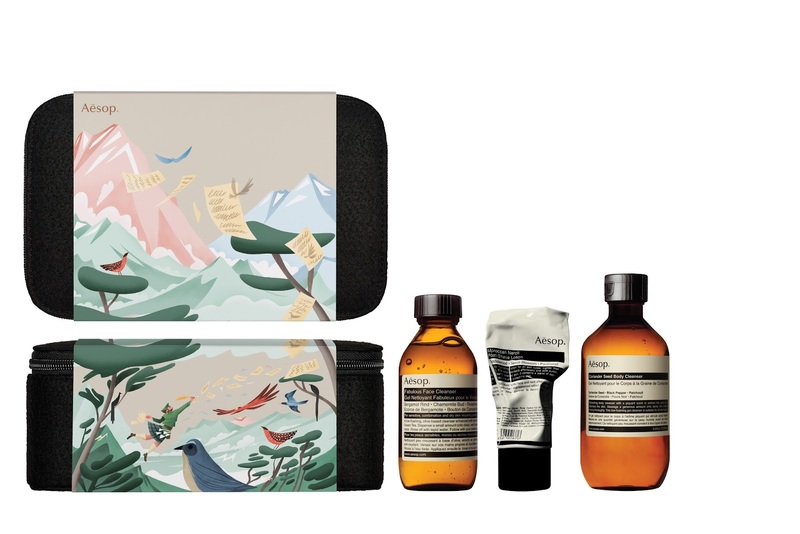 This distinctive collection w ill be available from November at all Aesop signature stores, select stockists and counters in fine department stores across the globe, and Aesop Online. The Intrepid Gent – a trio of essentials for the well-groomed man. In complement to the rest of the Aesop range, these offerings make for ideal giving to free-spirited loved ones and colleagues throughout the festive season. 1848 and 1873 – India, Kashmir, Egypt, Malta, Gibraltar and Canada. He was the first European to document the interior of Ladakh, writing of his discoveries in The Birds of Cashmere and Ladakh, which was led for its uncommonly detailed field descriptions. Subsequent books included Wanderings of a Naturalist in India: the Western Himalayas and Cashmere, and Notes of a Naturalist in the Nile Valley and Malta. 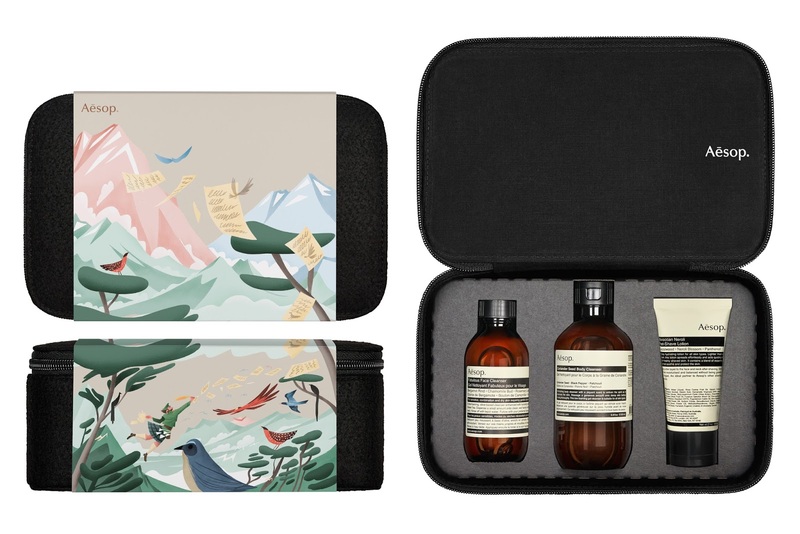 This wonderful, modern looking gift set is perfect for guys and as present to any guys! 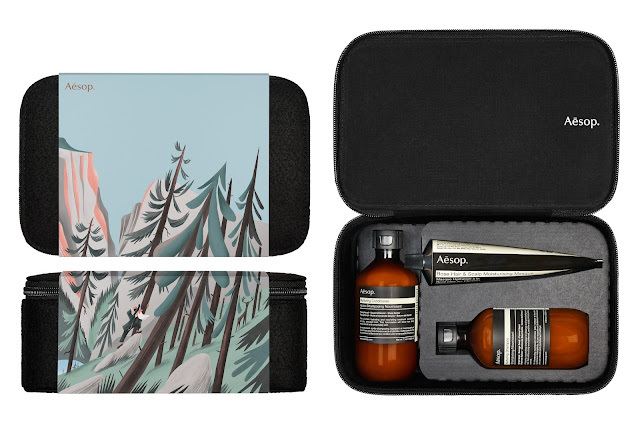 It's now available at all Aesop signature stores, select stockists and counters in fine department stores across the globe, and Aesop Online. And for other selection, check out these sets! So good! Love this sharing! some times we just need to give a try of herbal Medicine to see for our self. I am very happy today that i do not listen to what people say if not i would have been a dead man by now. I was infected with HERPES SIMPLEX VIRUS in 2014, i went to many hospitals for cure but there was no solution, so I was thinking how can I get a solution out so that my body can be okay. One day I was in the river side thinking where I can go to get solution. so a lady walked to me telling me why am I so sad and i open up all to her telling her my problem, she told me that she can help me out, she introduce me to a doctor who uses herbal medication to cure HERPES SIMPLEX VIRUS and gave me his email, so i mail him. 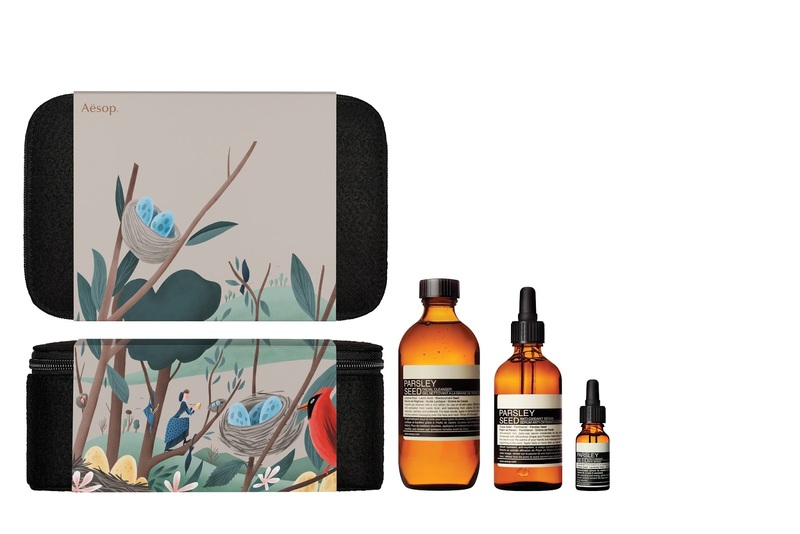 He told me all the things I need to do and send me the herbal medicine through courier service and also give me instructions to take, which I followed properly. Before I knew what is happening after 3 weeks the HERPES SIMPLEX VIRUS that was in my body got vanished and blister dried off . I went to the hospital for a test and it was negative. this man is real and he is the solution to herpes virus. so if you are also heart broken and also need a help, you can also email him herbalcure12@gmail.com. (call or whatsapp +2349036036397 according to this great DR he can also cure HIV, ALS,CANCER, COLD SORE, ACNE, AND DIABETES.